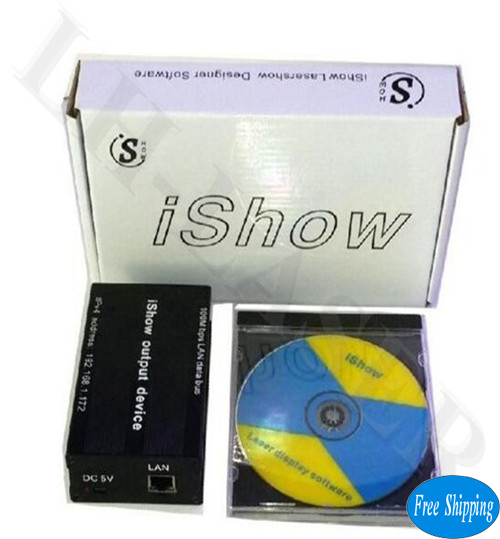 IShowV3 software use Ethernet (LAN) as the data communication interface. If you computer without Ethernet or not available, you can buy a Ethernet Adapter as below. IShowV3 software need 5V 1W direct current for power supply, you can get from USB port on the computer directly. We supply one free USB line, you can connect to computer or get a DC5V power supply by yourself. The static IP address of iShowV3 is 192.168.1.172, the subnet mask is 255.255.255.0, so it requires your computer IP with the same network segment. Fox example; you can set your computer IP address as 192.168.1.5, the subnet mask as 255.255.255.0 as below. Then the software with computer can work well. Actually you can set IP address from 192.168.1.2~171 or 192.168.1.173~254, but please note that IP address can't be 192.168.1.172, and please choose “Use the following IP address” and write down the IP as above written. Components), for Windows 7 operating system,please install this as well. The Windows 7 operating system with "Microsoft Net Framework 3.2 Components" can't support this software, please update to 4.03. For Windows 8 operating system, just need install "IS.exe". When iShowV3 software starts, below window will come out. Right click pattern cue, Choose 'edit' on popup menu, it will pop up a windows for edit effect as follow. [animation setting] or [curves adjustment] or [color edit] window as follow .